The broadcast will be hosted by Spencer Owen and former MLS player Jimmy Conrad with live commentary from experienced FIFA eSports casters Brandon Smith and Richard Buckley. Can I follow the tournament on Twitter? Updates will be provided on the EA Sports official Twitter page and the brand new competitive EA Sports Twitter page which focuses specifically on FIFA eSports. Also be sure to search the hashtags #FIFAeWorldCup and #FUTChampionsCup as well as looking up FUT Champions Cup Bucharest in the Twitter search bar. Don’t forget to follow your favourite players competing in the tournament, along with their respective clubs/organisations who are likely to provide real time updates on their progress. 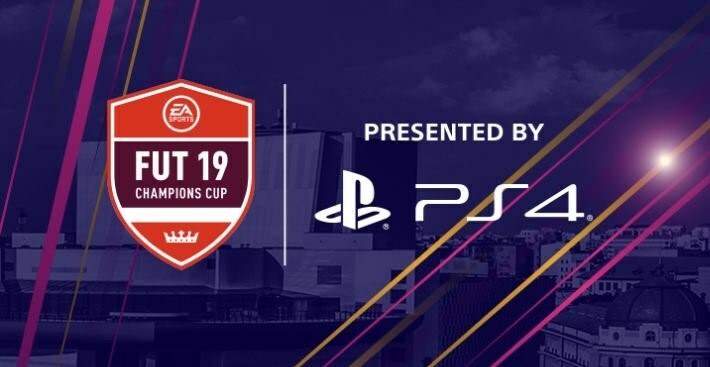 The FIFA 19 Champions Cup in Bucharest will be contested by 32 players on the PlayStation 4 and a further 32 players on the Xbox One. These 64 players will all compete in a Swiss-style single group stage format that leads into a knockout bracket. Of the 32 players from each console, half of them will progress from the group stages into the Round of 16, from which they will contest a single elimination bracket that will leave two players remaining from each console. These two players will compete against each other in the Console Finals with the two winners facing off in the Grand Final. The final will be a two-legged affair with one game played on each console. 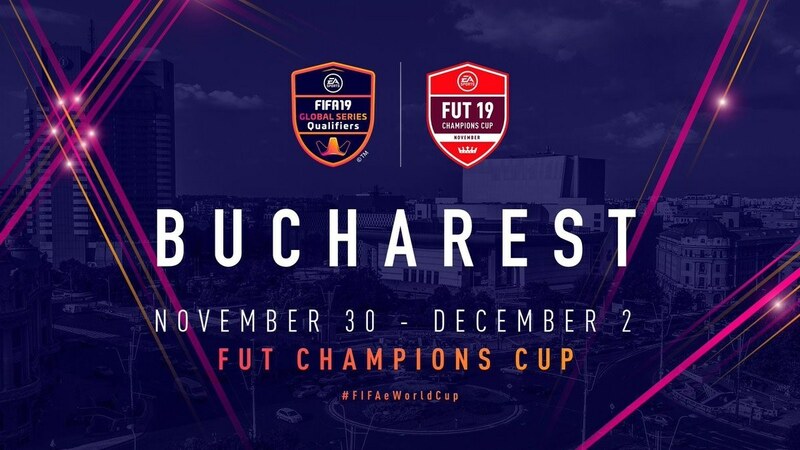 A total of 64 players around the globe have qualified for the FUT Champions Cup Bucharest through the official FIFA Global Series online qualification tournament which took place back in October. You can find a complete list of players who will be appearing in Bucharest along with the console they will be competing on here. The FUT Champions Cup Bucharest is only the second major offline tournament of the season thus far, so for many well-known FIFA eSports pro players, this event will represent their first chance of major success this season. One such player is an Argentine who was considered the best online player in the world on FIFA 18. Nicolas “nicolas99fc” Villalba is no stranger to winning in an offline environment, as the FC Basel player won the FIFA 18 PlayStation 4 Global Series Playoffs last season and was lauded for sweeping aside anyone that stepped in his path. However, he faced disappointment at the 2018 FIFA eWorld Cup, losing to Man City’s “Marcuzo” in the quarter-finals. He’ll be looking to reassert his authority on FIFA 19 and his first offline tournament of the season provides the perfect opportunity to do just that. This will be his first event representing the Swiss football giants whom he joined back in September. October saw the first offline tournament of the season take place exclusively on the PlayStation 4. It also saw the emergence of a new FIFA star as Epsilon eSports player Joksan Redona came from nowhere to lift the Continental Cup after a superb comeback over our very own predicted winner for the event, Tim “TheStrxngeR” Katnawatos, in the grand final. The North American champion currently leads the Global Series Rankings leaderboard for the PlayStation 4 and will be desperate to keep it that way following this weekend. Could he make a double triumph by going all the way to the end yet again? There will be a number of UK players competing at the event and none more recognisable than the 2017 FIFA eWorld Cup (FIWC) champion Spencer “Gorilla” Ealing. The former FaZe player has adapted to the new FIFA game quickly despite vocally airing his disappointment over how the new release plays competitively, and he is looking ominously strong in online competition. 2018 didn’t live up to his own high expectations, however a deep run at the FIFA eWorld Cup showed that he still has it in him to get back to the heights of 2017. He’ll be hoping that journey back to the top begins in Bucharest this weekend. Leaving for Romania 🇷🇴, can’t wait for the first tournament of the year for me. Should be a good one! Another Xbox One player and former champion from the UK making the trip to Eastern Europe is the winner of the first FUT Champions Cup of the season last year. Donovan “F2Tekkz” Hunt surprised everyone when he burst onto the scene in Barcelona to lift his first major silverware of his FIFA eSports career. Despite that success, frustration was to follow as he couldn’t maintain those high standards and ultimately missed out on qualification for the FIFA eWorld Cup later in the year. The 17-year-old is back this season and has already pulled off some impressive victories online against big name opposition. He’ll be hoping that once again, the first FUT Champions Cup of the season turns out to be a lucky one for him. That is of course if he hasn’t been affected by long delays on his trip to Bucharest! One final player to focus on is a Brazilian who has made the journey to Romania carrying a huge weight on his shoulders. 2018 ESWC Sao Paulo champion and FIFA eWorld Cup participant Pedro Resende will be representing the newly-formed eSports team M10. This of course is the widely anticipated eSports organisation founded by Arsenal footballer Mesut Ozil. The former German international will be hoping Resende, who just last week celebrated his birthday, can channel his abilities on the pitch and bring home M10’s first ever major FIFA 19 trophy. For many players, the FUT Champions Cup Bucharest will be their best opportunity yet to accumulate a season-defining amount of Global Series Points which will put them well on the road for Global Series Playoffs qualification later on in the year. It also gives big players with big reputations a chance to lay down a serious marker for the long season ahead. The most recent FIFA 19 patch, which has rectified a number of bugging issues for players such as the notoriously overpowered bicycle kicks, will be in effect for the event, so the competitors will have to adapt accordingly. You could make a case for a number of big name players competing to pick up the crown and we’re predicting one of those big names to do just that. “nicolas99fc” was so impressive last season but sold himself short in the FIFA eWorld Cup knockout stages. When he’s on form, opposition players can’t get the ball off him due to his heavy possession-based gameplay and ruthless finishing. If he plays to his potential this weekend, we can’t see him being stopped and with it being his first event as an FC Basel player, the motivation for the Argentine to perform could not be any higher.